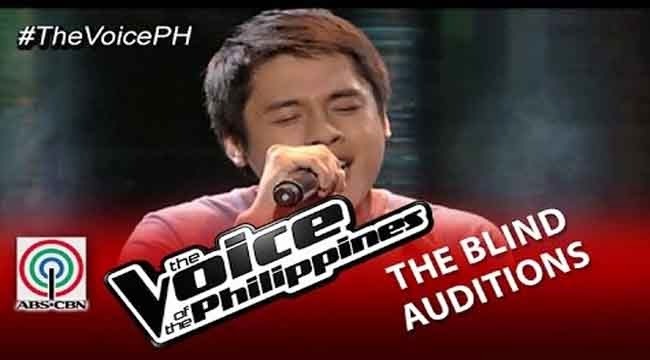 The first artist to grace the stage for blind audition is Marc Cando who has admitted to being shy to girls. Inspired by his father who suffered stoke, he admitted that his father had greatly affected his life. Despite being shy, he has a crush with the witty The Voice host Toni Gonzaga. He was excited to sing ‘Get Here’ at the front of the four coaches. Apl De Ap was hesitating before he finally hit his big red button. He could not stop swaying as he hears Marc singing. Sarah asked for his name and age. She asked Toni to come up after knowing that the 24 year old artist likes the host. She said that the song was nicely delivered but had not just quiet reached her heart. Lea Salonga had suggested that he could have used Toni as his inspiration to fill his song with emotions. Toni finally came up and congratulated him for being in Apl De Aps team. His new coach even thought him a pick up line and told him that a red rose will also help. Lea Salonga had thought him how to articulate his words and voice. He then sung again his song to Toni with better delivery. Toni even dance with him to humor the audience. Lae said that the second version is the one she was looking for.